Join others from our community in honouring the Fallen of Neilston on Remembrance Sunday. 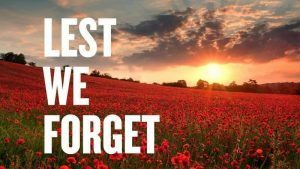 To honour the Fallen of the village of Neilston, there will be a Service of Remembrance at the War Memorial at 12pm on Remembrance Sunday; a parade will begin at 11.45am at Broadlie Road. In the E=evening, at 6.45pm, the Neilston War Memorial Association have also organised a special Commemoration to mark 100 years since the end of World War I, in conjunction with many other places. A memorial Beacon will be lit, and the local church bells will ring out for peace.